I graduated from USC in the top ten of my class and began working at a large international firm. I moved on and began work with a prominent family law firm, where I gained valuable experience and training. In 1995,1 founded the Law Offices of Laura L. Westray and have been practicing family law exclusively as a sole practitioner since then. I am currently a member of the Los Angeles County Bar Association and the South Bay Bar Association. I was previously the chair of the Santa Monica Bar Association Family Law Section. I have been a mediator for the Los Angeles Superior Court, as well as a fee arbitrator for the Santa Monica Bar Association. 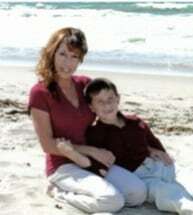 I hold a Bachelor of Science degree in Finance and I am also a licensed California Real Estate Broker. I work closely work with clients in the Los Angeles and South Bay areas and throughout Southern California to provide services in contested and uncontested divorce, alimony, child support and child custody, mediation, paternity, prenuptial agreements and restraining orders.